← What is a Cloud on a Title Report? We can talk about our experience until we’re blue in the face, but you’ll still want to know what our former clients have to say, right? It’s only natural! Everyone here at Veitengruber Law looks for reviews on professionals we’re considering working with (whether privately or professionally) as well. 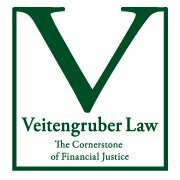 Here’s what some of Veitengruber Law’s online reviews say. Names have been abbreviated to initials for client privacy. “George is that rare species of professional possessing a fierce intelligence and a generous heart. He really does act as a “cornerstone for financial justice” in the lives of his clients. Couple this with impeccable integrity and you have an idea of George’s value to his clients. He is the complete package in legal representation.” – E.A. “I first hired George to help with some collections for my business. After he handled that with such great results, he reviewed our billing procedures. He made some changes to the invoices which helped to minimize future problems. He is very thorough and [I] highly recommend George. He has reasonable fees and a high level of integrity.” – M.H. “George is a very experienced collections attorney. He is a cool negotiator and gives me consistently solid advice on our collections issues. Many times, based on his advice, we are able to settle even without having to retain him. When we do retain him he applies the same negotiation skill plus his vast legal experience to get us a positive outcome. I highly recommend him.” – D.G. “George is someone who performs beyond the level expected of him. He is self-motivated, inquisitive, and goal-oriented. While working for me, he demonstrated a strong work ethic, met tight deadlines and was very resourceful in the manner in which he managed client expectations.” – V.O. “George has advised me on several business organizing efforts and was also the determining force in collecting a delinquent account for my company within 90 minutes of my retaining him. Yes…90 minutes. Not 90 days. He recouped several thousand dollars. George is my go-to guy!” – K.C. “George took a bad situation […], and within days had all of the details worked out and problems solved. All during this process he communicated with me, eased my worries and assured me all would be well. He delivered outstanding service and I will most certainly call on George again should the need arise.” – K.D. “Great mortgage lawyer. Down to earth and to the point.” R.G. “I am an attorney in Arizona, and from time to time I have needed information regarding New Jersey law. I have found Mr. Veitengruber to be very knowledgeable, and still friendly and approachable. I am glad that I will never have to try a case against him.” T.C., Esq. Want to read more what our clients are saying? Visit our Testimonials page for more reviews.